Trying to lose weight? You might have heard that making sure you eat enough protein can help, particularly for curbing those cumbersome cravings. It turns out that simply following the average intake recommendation probably isn’t enough to help you reach your healthy weight loss goals. The amount you should eat mostly depends on your own bodyweight – and it needs to come from the right sources. 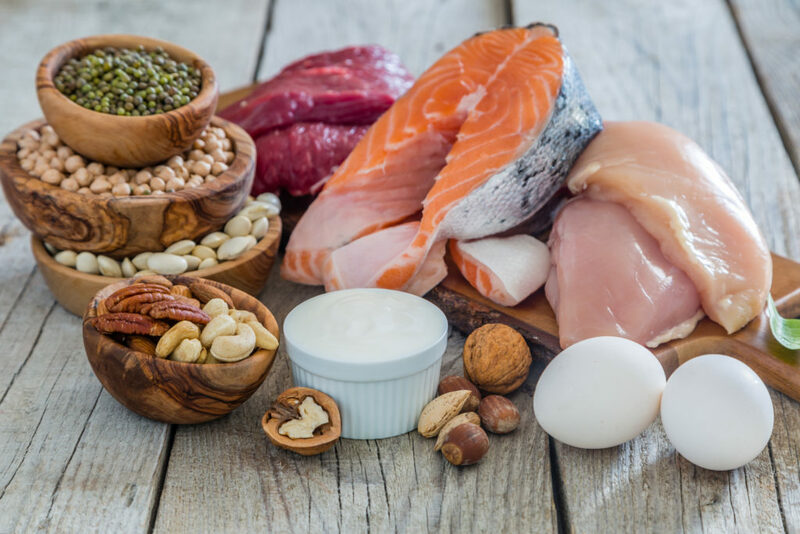 Professor Manny Noakes, our Principal Research Scientist, says the current recommendations for protein intake underestimate protein requirements for healthy weight loss. “Often a relatively low figure of suggested protein intake is quoted for an average weight man (75kg) or woman (57kg),” Manny says. The problem is, most of us aren’t ‘average’ – in fact more than 60 per cent of us are overweight or obese. Manny says the latest science actually suggests eating 1.2-1.6 grams per kilo of bodyweight for healthy weight loss. Curious about how much protein your non-average self needs? We’ve launched a free calculator on our Total Wellbeing Diet website. Using your weight, it recommends the amount and types of protein you should be eating in a day to support healthy weight loss, and includes recommendations on how that daily amount should be divided across each meal. Where you get your protein matters. Aim for healthy sources. Our new analysis of our Healthy Diet Score survey (Australia’s largest nutrition study of almost 200,000 adults) showed that people with low-quality diets were more than three times as likely to be obese as people with high-quality diets. And for those people, eight times more of their protein intake came from junk foods than the people with high quality-diets. That’s the foods that might smell good but mean bad news for your healthy eating plan: pies, burgers, pizza with processed meat, chicken nuggets, sausages, cakes, ice cream and biscuits. This shows that it’s not just the amount of protein you eat that matters, but the source matters too. 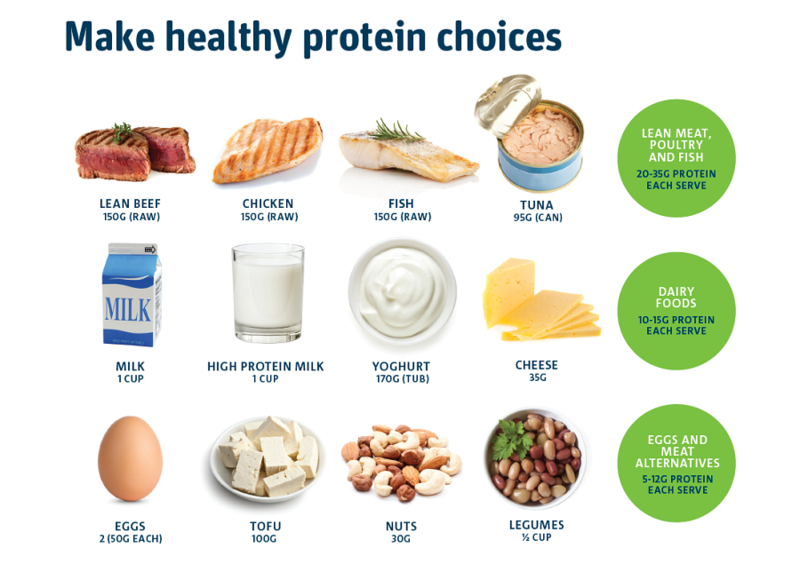 Higher protein healthy meals – made of whole foods such as chicken, red meat, fish, eggs, milk, legumes, tofu and yoghurt – help control the appetite and can reduce that overwhelming urge to vacuum up the supermarket’s entire chips & lollies aisle. Want to find out how much protein you should be eating? Try our free personal protein calculator.